It's been a while since I visited my own blog, let alone write anything on this page. What can I say? I gave myself an unintentional break by enjoying the most of summer off line. There has been much cooking and photographing but not much free time to sit down and blog about it all. With longer days and gorgeous evenings here, there have been many impromptu dinners al fresco with friends, long chats with the husband in the evening and one thing leading to another...I felt a little tug at giving myself a little break from blogging. With Instagram, Twitter and Facebook so much part of our daily lives, it's easy to rely on those to keep in touch with everyone out there. 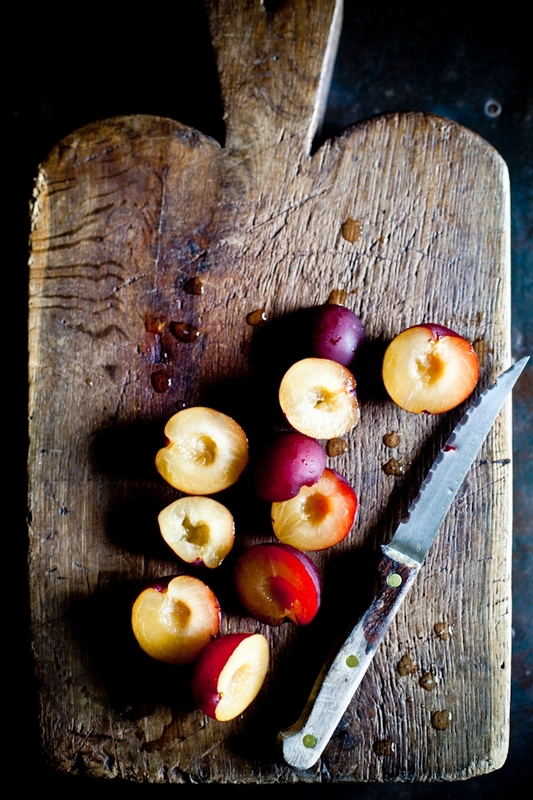 Needless to say, I have a whole bunch of recipes and photos to share with you! 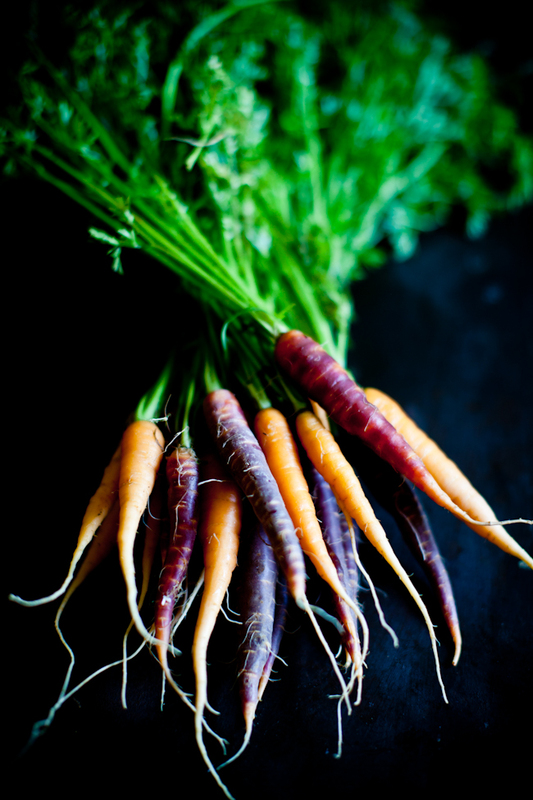 Weekly visit to the amazing farmers market we have here in Birmingham often result in simple yet delectable recipes and musings in the kitchen. 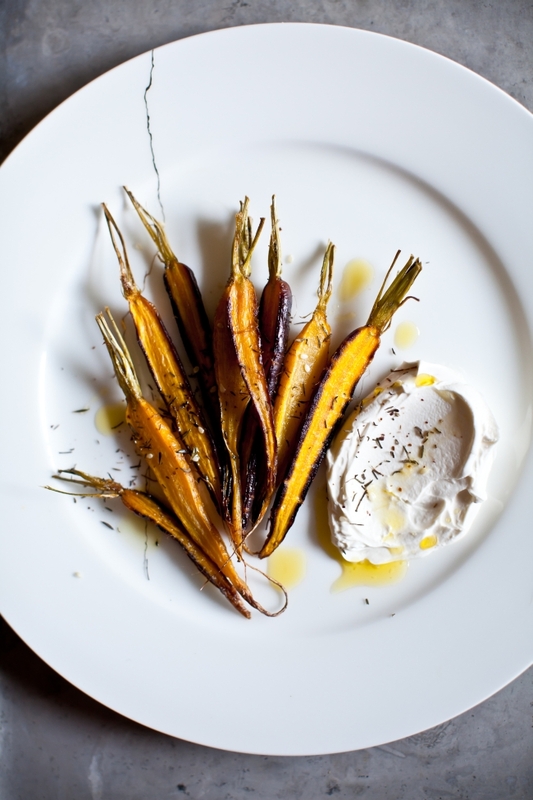 Our favorite snack on the weekend early this summer was market fresh carrots, briefly roasted served with creme fraiche and a good sprinkle of za'atar. 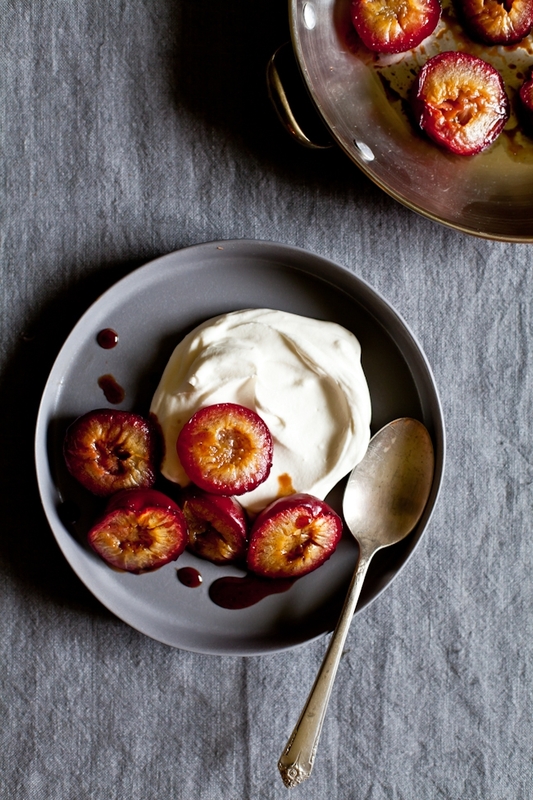 Our current favorite dessert is roasted plum with local honey and a dollop of soft whipped cream.